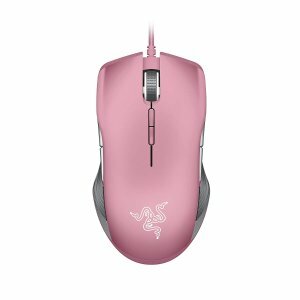 Razer offers THE QUEST FOR QUARTZ Sale from $139.99. Spend US$99 and receive the Razer Pocket Notebook. Use PBM19 at checkout. 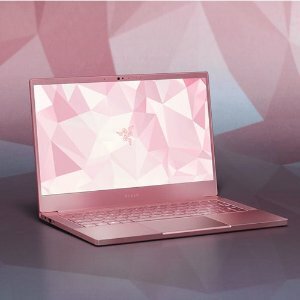 Razer offers the Razer Blade Stealth 13 Quartz Pink laptop for $1399. 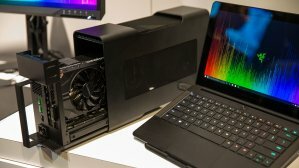 Razer offers the Refurbished Razer Blade Stealth v3 (i7-7500U, 16GB, 256GB) for $599.99. Features: i7-7500U up to 3.5GHz; 16GB Dual-Channel LPDDR3 1866; 256GB PCIe SSD; 13.3" IGZO QHD+ screen w/ 70% Adobe RGB; 1 x Thunderbolt 3(USB-C), 2 x USB3.0, 1 x HDMI1.4b; 802.11ac + Bluetooth 4.1; Chroma anti-ghosting keyboard; 0.52” / 13.1 mm (Height), 2.75 lbs./ 1.25 kg. Razer offers the Razer Blade Stealth 13 Quartz for $1599.99. 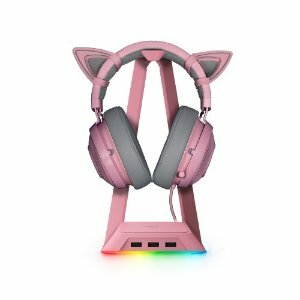 Features: When we first launched a selection of our bestselling peripherals in Razer Quartz, we received incredible feedback from our community. We’ve now expanded the Quartz family to include even more of our best-performing hardware—discover now. Razer offers the Razer Kraken Pro V2 Gaming Headset w/ Free stand for $79.99. via coupon code "OCTSTAND18". 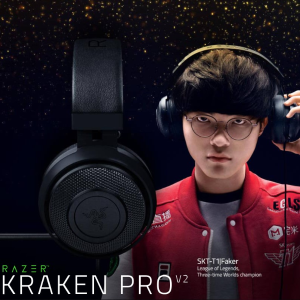 Features: The Razer Kraken Pro V2 is outfitted with larger drivers than its predecessor to offer a louder and richer soundstage than ever before. You’ll feel like you’re right at the center of all the gaming action, while ensuring your team’s shotcalls are heard with absolute clarity. Razer offers the Razer DeathAdder Essential Bundle + One Game for $43.99. to fit snugly under your palm, or control just as well with a claw-grip. 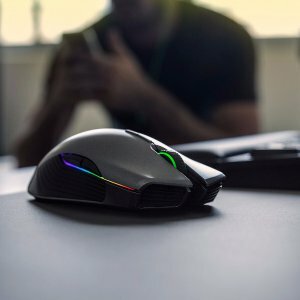 Equipped with a 6400 DPI 4G optical sensor, the Deathadder allows you can move it at either fast or slow speeds, and it will always respond onscreen with exacting accuracy and the organic fluidity. The fulcrum over which the two large main buttons sit are designed to have the perfect bounce back to your fingers – providing absolute assurance that you've actuated the switch beneath. 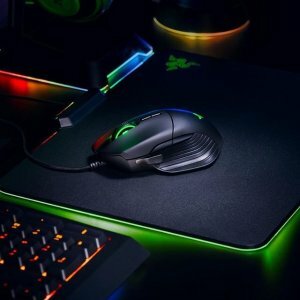 Razer offers the Razer DeathAdder Essential Mouse + PC Game Bundle for $43.99. 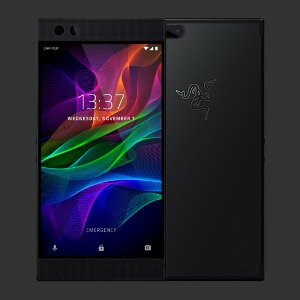 Razer offers the Razer Phone 64GB Unlocked for $399 via coupon code "WOOHOO". Features: The included Android operating system opens apps and navigates without slowing down, while silky-smooth graphics and Qualcomm processors ensure it's easy to game on this device. A 4000 mAh battery in this Razer smartphone means it has plenty of power to last you all day long. 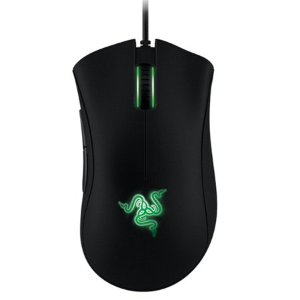 Razer offers from $29 Razer Fragfest Sale (Mice, Keyboards, Headsets & More). 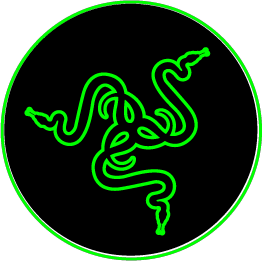 Features: Razer is the world leader in high-performance gaming hardware, software and systems. We live by our motto: For Gamers. By Gamers. 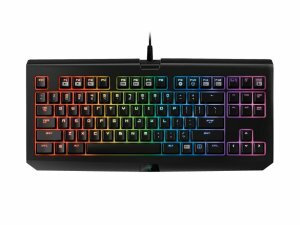 Razer offers the Razer BlackWidow Tournament Edition Chroma Clicky Mechanical Gaming Keyboard for $69.99. Features: Built around Razer's award-winning Mechanical Switches designed from the ground up for hard-core gaming. The crisp, tactile feel, responsiveness and consistency deliver a unique unfair gaming advantage. Extreme Durability- Razer mechanical switches are rated up to 80 million keystrokes and come with a 2-year warranty. 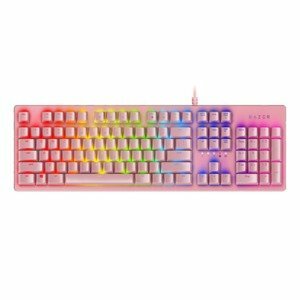 Razer offers CHROMA MEETS HUE. Features: Ready up for a gaming experience so immersive, your surroundings come to life. 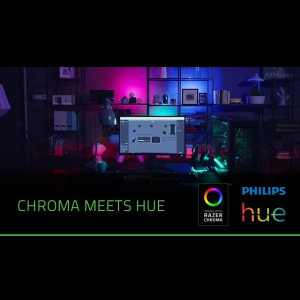 Razer Chroma and Philips Hue now bring reactive lighting to your gameplay - so you can flood your room with the color of every winning move. Razer offers up to 56% off Cyber Weekend Exclusive VIP Preview Event via coupon code "VIP17". 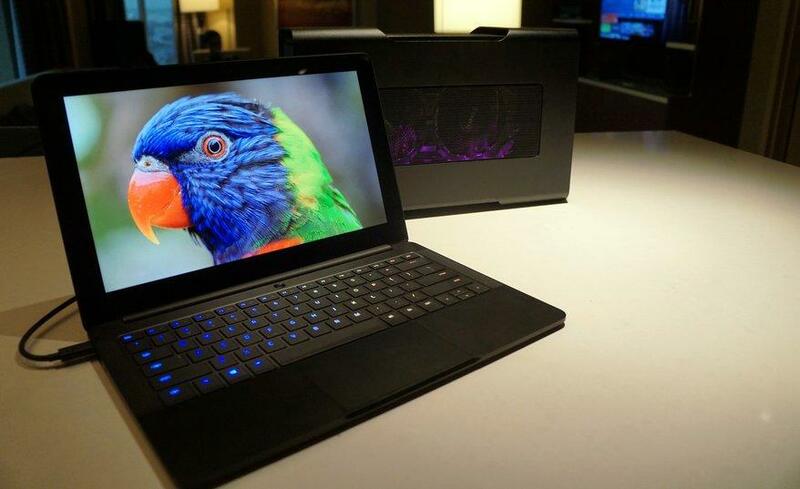 Razer offers the Razer Blade Stealth 12.5" 4K Touchscreen Ultrabook(7th i7,512GB SSD) for $1299.99. 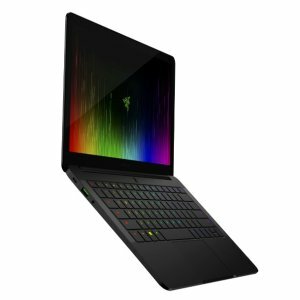 Features: Razer Blade Stealth - 12.5" 4k UHD Display (16GB / 512 GB SSD); Incredibly thin 0.52” CNC aluminum chassis; 12.5” 4k UHD Touch Display with 3840 x 2160 resolution; Intel Core i7-7500U - 2.7GHz / 3.5GHz (Base/Turbo); Razer Chroma Keyboard with 16.8 million color options. 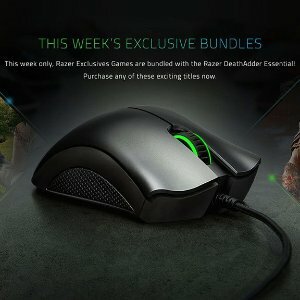 Razer offers half price! Razer Accessories. 2. Verify your Account via you E-mail verification link. 4. Click the green button and obtain your Personal Exclusive Coupon. 5. 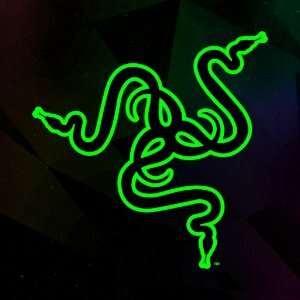 Go to Razerzone Store to buy any Keyboard, Mice, Headset, etc. for Half Price! PS: You only apply the promo code for one item each time. Razer offers the World's First Thunderbolt 3 External Graphic Dock Razer Core with Leviathan Mini Bluetooth Speaker for $499.99 via coupon code "RZLEMI". Features: Plug and play Thunderbolt™ 3 (USB-C) external desktop graphics enclosure; Supports compatible AMD and NVIDIA cards; 4 USB 3.0 ports and Ethernet; More effects with Razer Chroma; Compatible with Razer Blade Stealth and coming soon to The New Razer Blade. 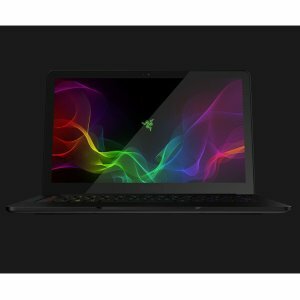 Razer offers the RAZER BLADE STEALTH - QHD (128GB) for $999.99. Students receive 5% off the RAZER BLADE STEALTH. Get US$100 Razer Core credit with your purchase. Features: i7-6500U up to 3.1GHz; 8GB Dual-Channel LPDDR3 1866; 128GB PCIe SSD; 12.5" IGZO QHD touchscreen w/ 70% Adobe RGB; 1 x Thunderbolt 3(USB-C), 2 x USB3.0, 1 x HDMI1.4b; 802.11ac + Bluetooth 4.1; Chroma anti-ghosting keyboard; 0.52” / 13.1 mm (Height), 2.75 lbs./ 1.25 kg.